There is a new Silk and So Delicious coupon available. 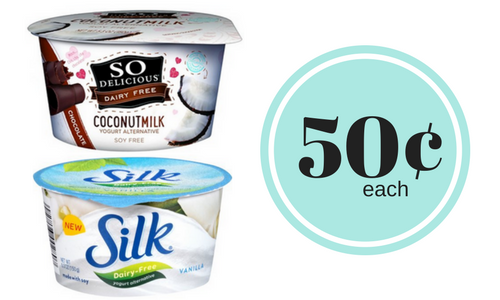 Head to Publix and get dairy free yogurt for 50¢ each! They are great for a yummy treat and perfect for anyone looking for a dairy alternative.